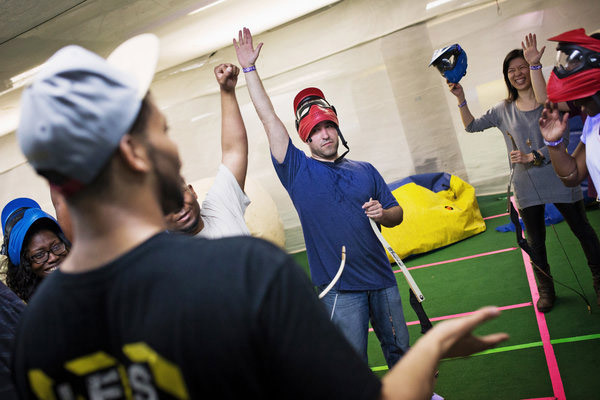 Archery Tag® is played similar to dodgeball with our bows and patented foam-tipped arrows. This exciting, action-packed game offers the ultimate family-friendly experience that engages the everyone. Don’t miss out on Tag…the game you never outgrow! Arrows should be used only with Archery Tag® Bows, and will in no way be used in any other type of bow (compound, recurve, longbow, or crossbow, etc.). Failure to adhere to this rule can result in equipment damage, personal injury, and loss of your Archery Tag® License. Our vision is for Archery Tag® to become a mainstream sanctioned global sport at the collegiate, professional, and Olympic levels. 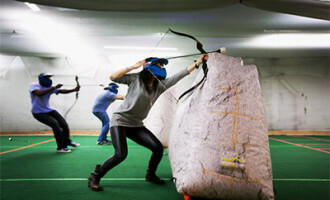 Archery Tag® was created by John Jackson, the founder of DeerSpace®, Instinct Archery™, and Global Archery Products, Inc.®. n the spring of 2011, while working on a product for the archery company, there was the idea of placing a foam tip on an arrow and shooting each other with it. Within an hour or so the first prototype and a new sport was bo! Over the past three years, John has been humbled and amazed to see how Archery Tag® has grown from a simple idea into a worldwide sport that is now enjoyed in dozens of countries spanning six continents. 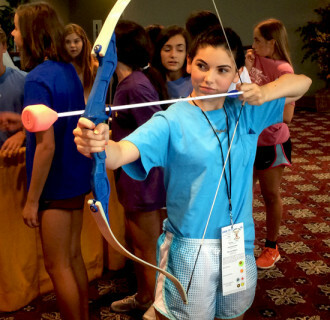 Schedule your party here or call Next Step Archery at 425-977-2770 to schedule.